Old versus new and happy Spring! Old versus new. Happy Spring! My new litespeed IV after its inaugural British Colombia battle with the cutthroat trout. 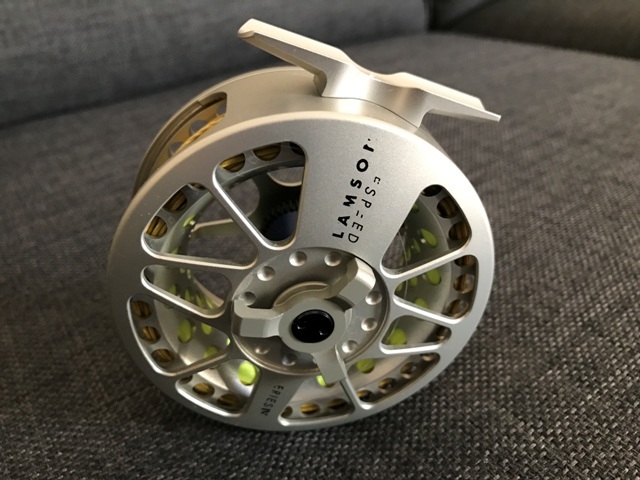 I have always been a fan of Lamson reels. I use a mark 1 Lamson Litespeed 1.5 in a lot of my streamer videos. 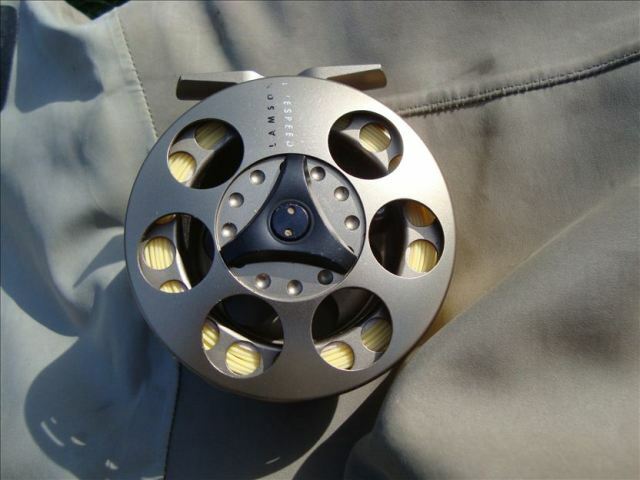 I bought this particular reel on a trip to Canada in the early 2000’s- battered the hell out of it on hard fighting bows, cutbows and cutthroats. I have guided with it for a few years as a main stay. It’s been submerged under saltwater, thrown without its cover in the general fishing bag. Dropped on rocks and I mean seriously abused. It says a lot about a reel when you stay with that brand or type based on your own personal experience of how tough it is how great it looks and how well it still performs even after being hammered and worked hard. Long after many pretenders have come and gone this beauty remains. It is light, rugged but is it still my favourite? It would have to take away the inherent beauty yet functionality of that mark one reel. Only surely its successor the IV Lamson Litespeed could do that? I was lured by rave reviews and a cast iron belief in the brand and model and a desire to see the “light speed” gains that must have been made in the meantime. I drove a small car in the early 2000’s with a big thirsty engine that broke down on a regular basis. 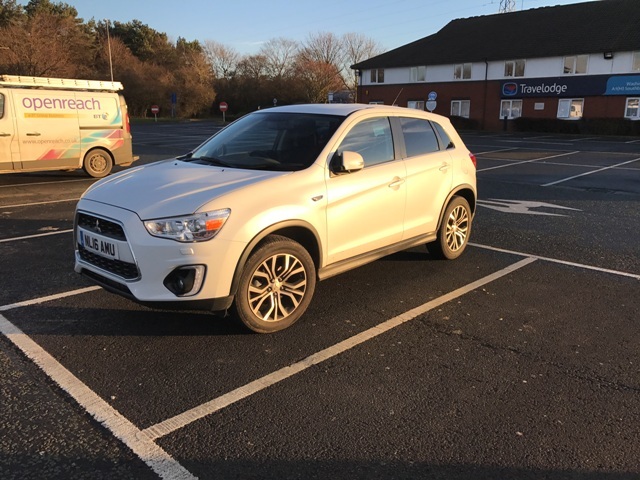 Now I drive a car with a smaller engine that is twice the size, and that will do twice the miles per gallon, km per litre etc. It stops on purpose at traffic lights to save fuel. If the old car did this it was panic stations and get out and push for a bump start. I mean come on you don’t have to be a genius! Technology has made cars safer, more efficient and generally better and easier to use. Case in point is where a Honda Civic (or similar “Japanese box” a term used by then Top gear Presenter Jeremy Clarkson) absolutely destroys a classic Jaguar E type on the track. It’s a “classic”, and unfortunately despite stunning looks that means old and heavy. Having now fished with both reels I can confirm they are both excellent and to cut a long story short the Mark 1 remains my favourite. They are both light well made reels. But in my opinion the Mark one remains a better reel functionally. I am far from disappointed with the Mark IV it handled everything. The only difference was a couple of occasions where the line got caught, in particular places. This was enough to tip the balance in favour of its great, great Grandfather. Until now I have found the operation of this flawless. It is the first reel I give to relative novices and they are happy and can use it and experienced anglers who can really appreciate it. The Mark 1 Lamson Litespeed is simplicity, perfect design hiding highly skilled engineering and manufacturing. Given its age and use my Mark 1 has earned its place as a go to favourite. I will stick with the Mark IV and no doubt over a time will develop a greater appreciation of its abilities. I often wax lyrical about progressive actions being essential for a good trout stream rod. 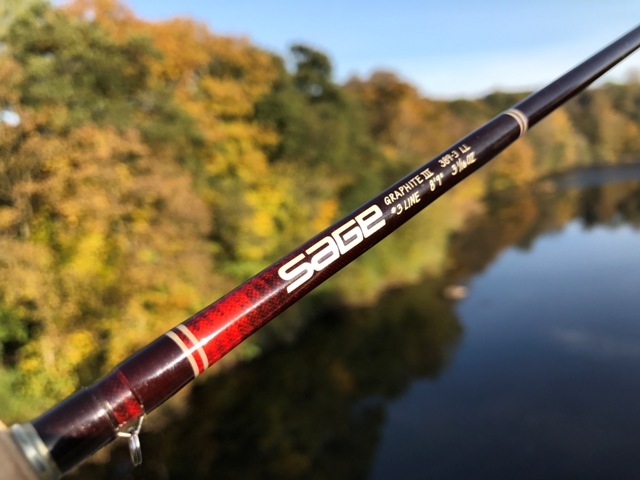 A progressive rod has several essential features all of which aid the river angler. The first of these is a super sensitive tip. Modern barbless hooks and fast actioned rods do not mix well with your average 10 inch stream brownie. Our wild brownies tend to spend a great deal of time airborne. This is often the way to know you might have hooked a stocked fish: i.e. if it doesn’t leave the water. It’s a good tactic for wild fish and many free themselves in the process. To reduce losses a progressive rod will cushion these stresses on the line maintaining a good hook hold. Progressive actions however should not have flat spots. I have seen in my opinion the best progressive action in the Sage 389 Light Line and rods in that series. On the You Tube videos it never ceases to amaze me how the tip of the rod is working like crazy always in violent spasm. This is the rod rapidly adjusting to changing pressures and pulls as the fish fights. I might add a true progressive rod like the 389 has a sense of power as you bend it down the blank. This power further down does an excellent job of quickly sapping the energy from fish so they can be landed relatively quickly. This is obviously important for catch and release. I have tried many of the new progressive rods on the market and one is a stand out. 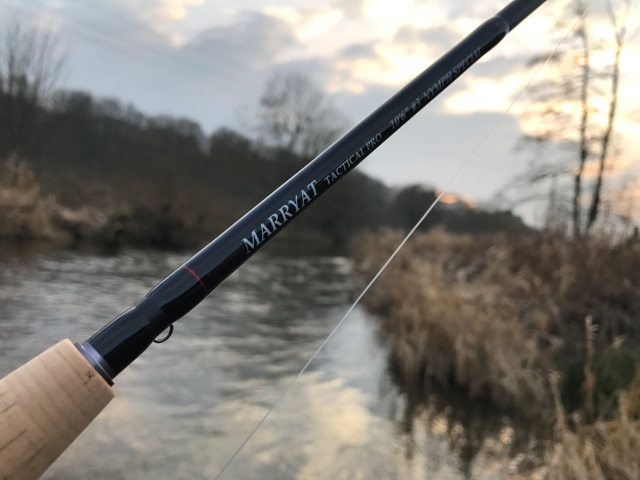 That is the Marryat tactical pro nymph (10 foot 6 inches). I tested this with an onstream-guide leader minus the bead indicator. Our leader bead indicators are now discontinued to make way for our new exciting nymphing range. I used a Lifejacket caddis with a couple of hares ear beaded nymphs (as available on the site). At first I falsely believed the rod must have quite a fast action. Faster rods can throw very tight loops. The rod was very accurate- I could get the flies exactly where I wanted. 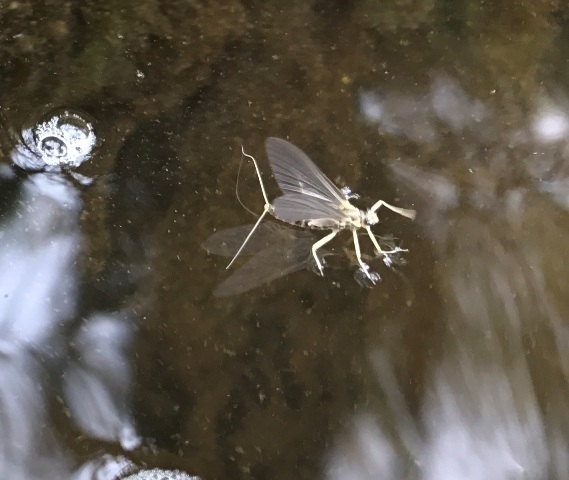 As a consequence a grayling took the nymph, causing the dry fly to stutter and then disappear under the surface. Bingo a grayling attached and the action was superb, I felt in full control and the fish came quickly to hand. I have since given it a far more thorough testing and the rod has handled impeccably. I can say it is the best rod of that type I have ever fished. This is an impressive and relatively modern wand. I got mine here https://www.flytyingcompany.co.uk/ from James and his service is excellent. The point is it doesn’t really matter what period a fly rod/reel was designed and built in or even what it is made of. The very best progressive curves are found in Bamboo or glass rods that long predate construction from carbon. But good designs like good flies are exactly that. And unlike cars which are composed of multitudes of moving parts a fly rod is a relatively simple tool. It is a stick that bends to some degree! That as fly anglers we can appreciate these massive differences shows the inherent beauty in this simplicity. Manufacturers might talk of latest grade carbon etc but these changes are relatively small. My vintage and much loved 3 piece Sage 389 light line weighs 3 and one eighth of an ounce. And its modern version with the same length/weight statistics is half an ounce lighter. My argument it is that the extra half ounce in the Light Line isn’t wasted and makes it a superior rod in my honest opinion. I think the Light Line is a much stronger rod than its modern incarnation. The concept that lighter is better in terms of carbon rods isn’t really relevant now most rods are very light. Getting the design right is a more important issue. Spring is here heralding a time of rapid change and rising trout. Conditions can be tough and over the years that has included driving snow storms! Find a fish rising and it hit with a Match The Hatch Dark olive size 14 or 16 is all that is usually required. See for example . In terms of nymphs look no further than our hotspot pheasant tails. These imitate the small darting nymphs of the early season mayflies/olives as well as anything. I am now a full member of the England Rivers Fly Fishing team for the Home International on the Ebbw in South Wales between the 20th and 23rd June. I take fishing for my country very seriously and that means an input of time. As such some things are compromised so bear with me through this period of change. Onstream-Guide has a new home and is literally on the stream. I can view rising trout through my Office window which is both distracting but endlessly fascinating. Pictures through the year will feature in a future e-ziine. Best wishes for the New Trout season ahead. 6 months of bliss. No doubt I will be seeing and meeting many of you again on the river soon. I will be looking forward to that.